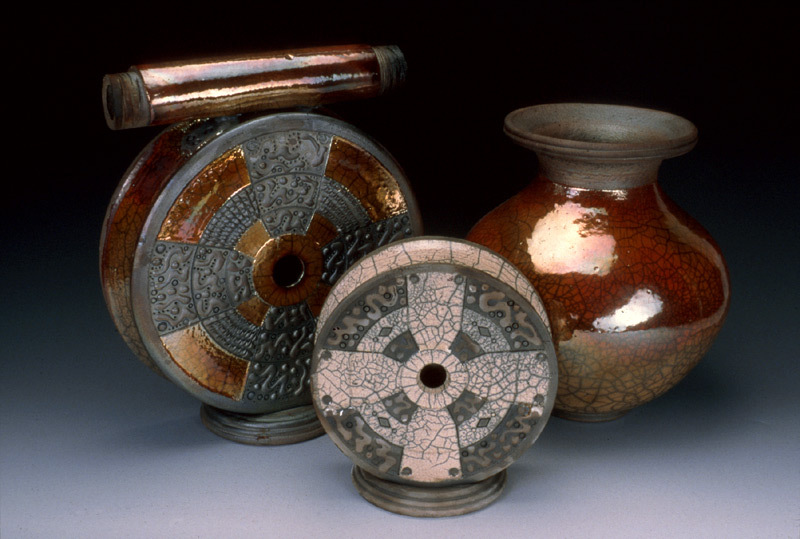 The image shown is a representative sample of the raku-fired pottery made by Steven S. Fitzgerald at FireStorm Clayworks. All works are hand-made ceramic, using the wheel, handbuilding, an extruder, and/or a slab roller….no molds or slipcasting are involved. image copyright © Steve Fitzgerald. Site Design by Artshow.com.